Kenneth has been invited back to the orchard windows gallery after a very good show last Febuerey. 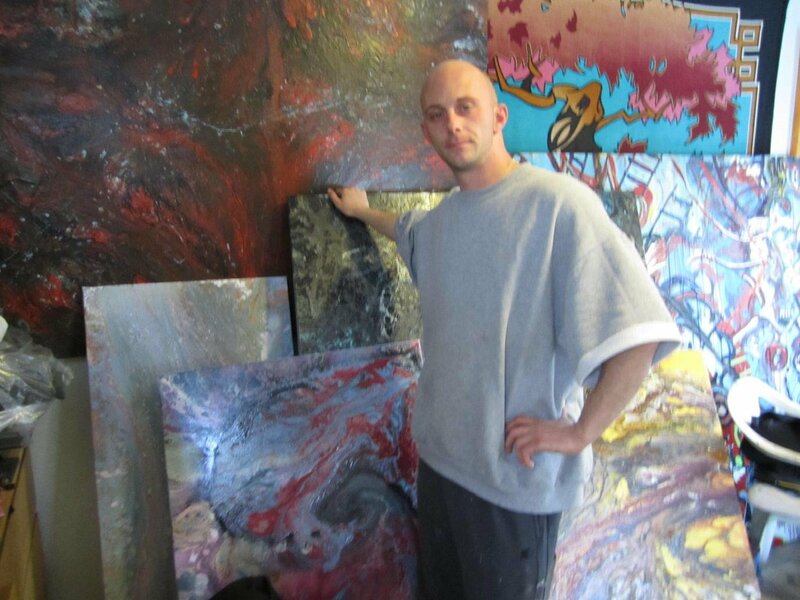 On display will be his latest series of paintings intitled “Insignificance”. Insignificance is a new series of paintings I made to display the emotions of being a small part in the world. How sometimes we all feel small and insignificant. How our emotions can get the better of us and lead us to jealousy, anger, insincerity and other negative emotions. I am also trying to show how much difference a small explosion of paint on a canvas can change the whole painting and the correlation between that and a person. The lack of paint on a single colored background is my minimalistic approach to explain how much open space surrounds us and to pose the question, is any splash of paint or any person insignificant to the surrounding environment?